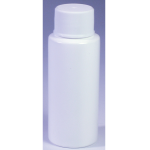 2 oz Plastic Cylinder, White – Auberst, Inc.
White Fine Mist Sprayer 4 1/2″ Dip Tube. Dip Tubes will need to be cut to fit. When cutting the dip tube, make sure to cut at a 45 degree angle.